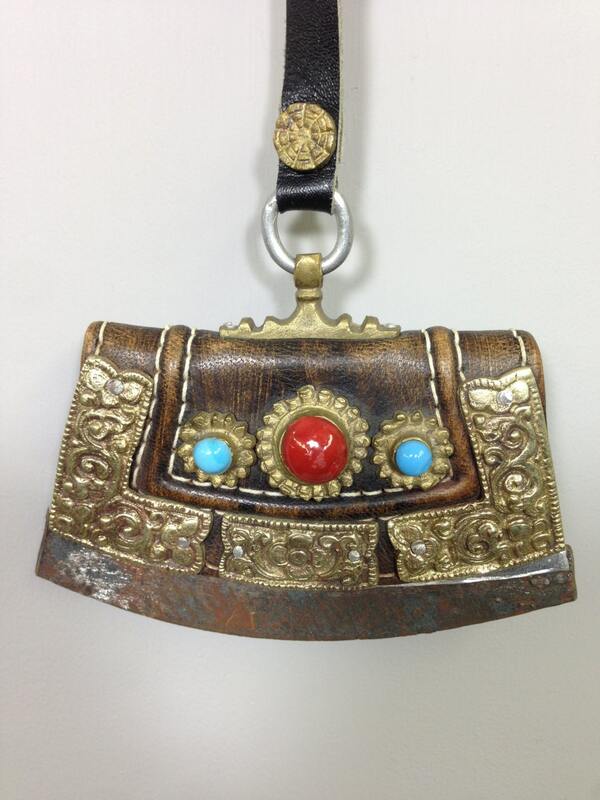 This is a fabulous Tibetan Leather and Brass Turquoise and Coral Flint Case with Leather Strap. Mecha is the Tibetan word for fire object. 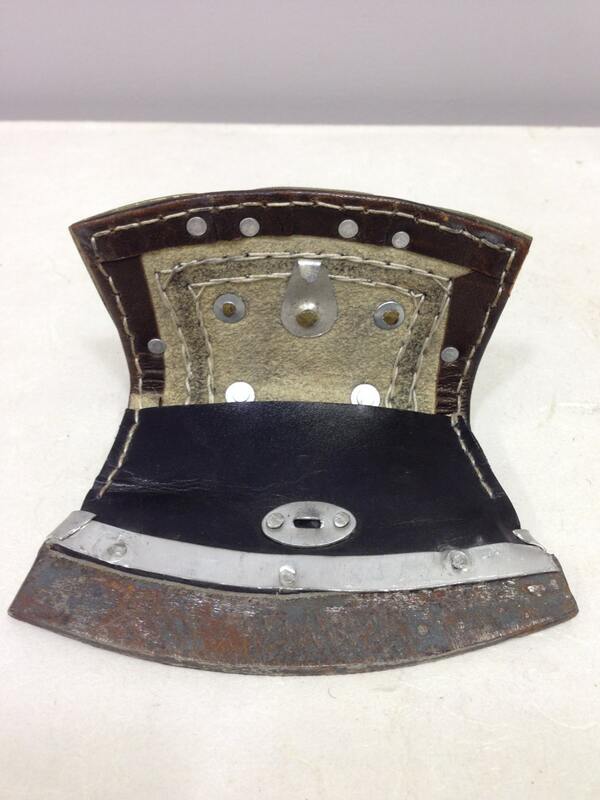 The leather purse is made to hold a flint piece and some burnable material. The flint is struck against the iron blade, making a spark which is caught in the material. 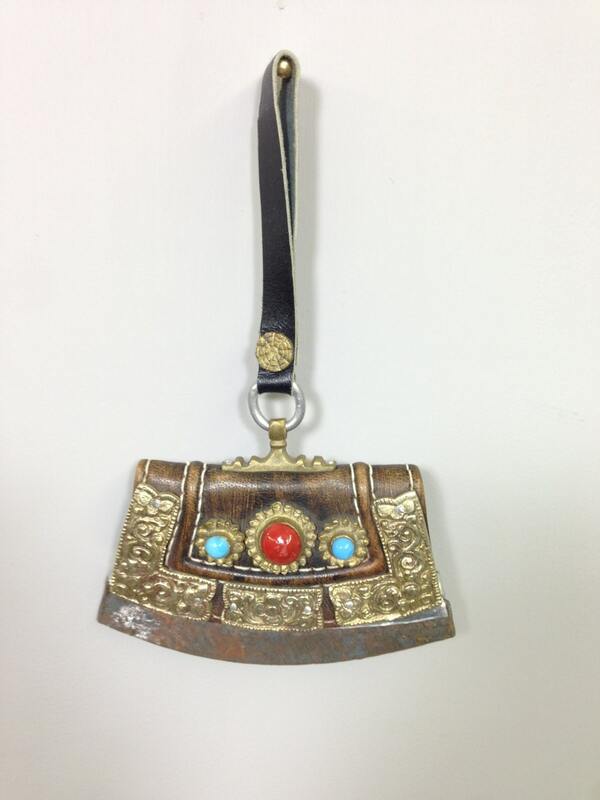 This case is decorated with heavy white metal and brass and a coral stone. A brass Bhairab guards the top. 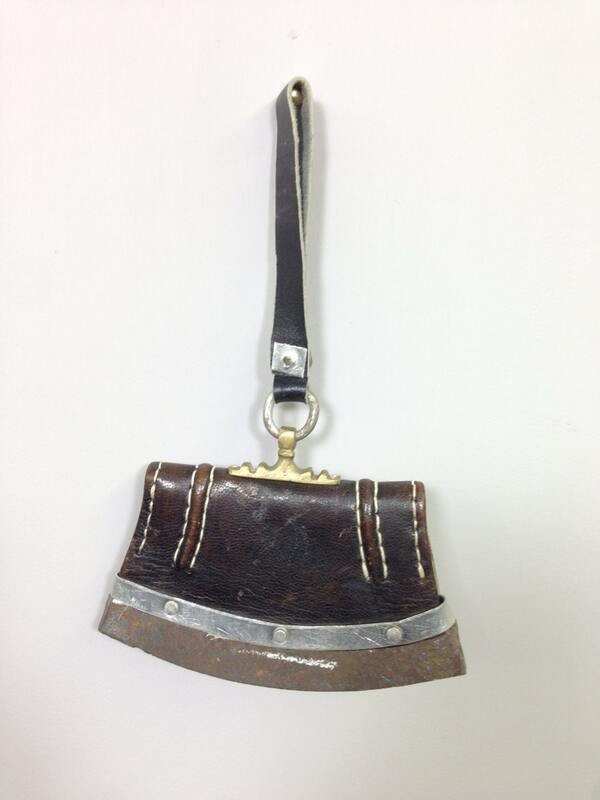 The mecha hangs from a long leather strap.